For what to genealogists seems like an eternity, Alberta has lagged behind other provinces when it comes to its policies and methods of making public records available. Recently, a number of changes to these have been made and more are about to be made. I was not at all certain exactly what these changes were and how they might impact genealogists. So, when I discovered that the Provincial Archives of Alberta (PAA) would be offering a workshop relating to the changes related to Alberta Vital Records for its Family Day 2017 program, I quickly registered for one of the three sessions provided. It was a good thing that I acted quickly as all three sessions of the workshop filled extremely quickly. Death Records for 50 years or more after the death. Such records come to the government and then to the archives in the form of registers, indexes, and registrations. Registers may come from churches of various denominations, hospitals, funeral homes, and municipal districts. Such registers can extend over a long period of time and be of variations. A single page in a register may contain information that is accessible in terms of the Act and information that is not available for release. You will be able to acquire a copy of page with the accessible information, but if any of the information that is not accessible is on that page, it will be redacted before viewing and copying takes place. A copy of the redacted page can be obtained upon request from the PAA at a modest fee. As well as the registers, the PAA possesses indexes and the actual registration documents. They are gradually processing the registers and indexes that fall within the provisions of the Act into a form that will become much more accessible. Currently, you need to fill out request form which you can reference online at “Forms for Service” at http://provincialarchives.alberta.ca/shop/#FS or fill out the request forms available in the Reading Room at the PAA (a different form from the regular retrieval form used there) and submit it to the desk. In both cases, you will need to wait a few weeks before the document you need will be retrieved and available for pick up. When it has been retrieved, you will be notified to come and view it either online or in person. If you wish a copy of the requested document, you may get one on payment of $0.35 per page for photocopying and $3.00 for postage within Canada and $6.00 for postage outside it. You will need to know the name of the person, a date range for the event, and the place at which the event took place. It is important to realize that the name in the form that you know it today may not be the form of the name under which the person is listed. So, allow for such variations. 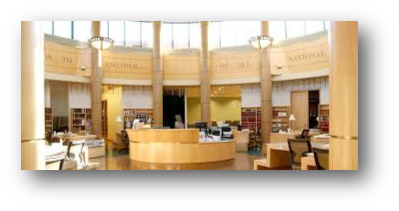 “How do I see a birth, marriage or death record at the Provincial Archives of Alberta?” http://provincialarchives.alberta.ca/how-to/search-your-genealogy.aspx provides listings of vital statistics records and indexes available at the Provincial Archives, just scroll down page to the listing. These files which include a listing of registers and indexes are in pdf form so you will need a current edition of Adobe Reader to access them. The indexes are yearly summaries produced by the Alberta Vital Statistics Office. These indexes were mandated by the Legislature in 1916. At the same time, this also established the intent and the mandate the establishment of a provincial archives in Alberta. They are currently not available in the Reading Room but are in the process of being placed online. These indexes contain limited information name, location, year, and registration number and are organized by type of record i.e. birth, marriage, or death. They are useful in two areas: 1. determining if a record exists and 2. acting as a source of information needed to find a particular record. Some of these indexes are handwritten and others are typed. Now, there are a few peculiarities when it comes to reading these indexes. Indigenous Peoples are not listed prior to 1923 and are grouped together under “Indian” for the period 1923 to 1945. The handwritten indexes are arranged in alphabetical order by the first letter of the surname fol-lowed by not its second letter as you would expect but its next vowel. So, for my surname “Althouse,” you would not look under “AL” but rather “AO”. For the original German version of my surname “Althaus,” you would look for “Aa”. You will also find the letters “Do” used in columns of an index. “Do” means “ditto” or the same as. Simply, read upward from the “Do” until you come to the first word that is not a “Do” and that should be the actual word that you need. In the year column, you will not find a number as you would expect but rather a capital letter (currently from A to T excluding I). These letters each cover one year between 1898 and 1916. Each of these letters represents a particular year as shown in the chart that follows. There are indexes for the records prior to 1898 that are indicated simply as the Roman Numerals II or III. The typed indexes are available at http://provincialarchives.alberta.ca/how-to/search-your-genealogy.aspx They are “key word searchable.” Once, you access the page, hit “Control F” on the keyboard for a search box to appear. In it, type the name that you seek, and press search which will take you right to the record reference in that index. It is valuable to have as much of the basic information needed to access the records as possible as there may be several people having the same name listed in an index. Also, it is helpful to have in mind possible spelling and linguistic variations of the surname to help you in your search as names are not always recorded as we expect them to be. Lauren passed out a number of copies of actual vital record documents. She noted that the documents were in various forms at various times and provided examples showing this. Generally, there was much information of value to genealogists and the amount of such information increased through the years. She displayed examples of death records where the causes of death were either natural, accidental, or criminal. She noted that other documents such as police reports may be referenced and sometimes even attached to the death records involving accidental or criminal causes. These annotated records may provide some interesting information for the genealogist. Churches were requested to register events within 15 days of the event. This did not always happen within this period, and in cases did not happen at all. The registers for the pre-1905 records are handwritten. The second part of the workshop provided by Michael Gourlie took us on a tour of the Reading Room and two of the storage vaults. Michael showed us the resources in the Reading Room that genealogists would be most likely to use and detailed the workings of a few of them. He explained how to request items in the Reading Room along with the details of periods of time at lunch and the end of the day when items are not retrieved. He explained that there are forms for immediate retrievals and another for vital records. The vital records search will take a few weeks to complete. Next, he took us in two vaults in the storage area. The first of these vaults held the vital records and the second oversized materials such as maps. This ended the workshop. This was an excellent session. It provided those who attended a sound idea of what was happening in the archives related to the province’s vital records. These sessions were invaluable to genealogists for whom these records are the “life blood” of their work. The session was generally easy to follow and provided by archivists who were enthusiastic about what they were doing and able to answer the questions posed to them. For years, the genealogical community has been concerned about the lack of availability of our province’s vital documents. What we heard indicated great progress in this area in recent months and even more scheduled to come. 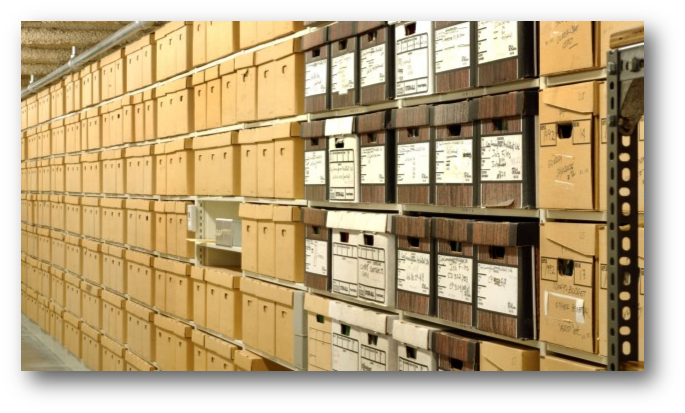 Currently, the archivists must retrieve the requested documents, but the PAA is working to create a process that can be carried on totally online. This will take time and money. However, this work-shop clearly demonstrated that the Alberta Government through the PAA is moving in a positive way when it comes to making vital records more readily available, accessible, and retrievable for those who need them including all of us in the genealogical community throughout the province and beyond.